With Inn HosteL is in the heart of the city. The location is close to Kaohsiung MRT Central Park Station(R9) , it only takes 3 minute to With Inn Hostel by walk. 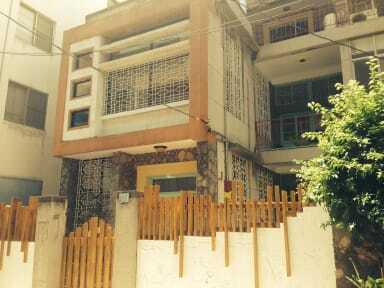 With Inn Hostel is located within a traditional Taiwanese style house. We renovated the house by adding some modern loft style to it, but still kept much of the traditional style. Making it a modern house, but with history. The location of With Inn Hostel is very convenient because it only takes 3 minutes to walk to the Kaohsiung MRT Central Park Station (R9). It is also just a short walk to Central Part and Shinkuchan Shopping Area. From airport only 20 mins by MRT. From high speed rail only 20 mins by MRT. From train station only 10mins by MRT. With Inn Hostel has a convenient location, is clean, safe and friendly. Making it the perfect budget accommodation for your stay in Kaohsiung. We can also help you by giving you tourist information and ideas about what to see around the city. We provided breakfast service, it is hand made fresh breakfast, each person TWD100. Great location, kind owners. The hostel is located in the center of Kaohsiung near Meilidao station. Very convenient to move around. You can find city bike stations within 5 min walk and go to anywhere in the city. Ziqiang night market and other local restaurants are also waking distance which is very nice. The owner recommended me a foot massage place and it was the best massage I found in Taiwan! Great place!!! Super close to the MRT station, clean and comfy bed (with curtains!) + facilities, and awesome staff. With Inn Hostel was really cozy. The rooms are nice, and the facilities are very clean. My only complaint is the common area isn’t all that conducive to hanging out and meeting other people. Close to everything you would need in Kaohsiung. Beds are a little thin, like most other place in Taiwan. Only 2 showers for men. A lack of space for socializing. Everything else is great. Staff is helpful and the facilities are clean and secure. 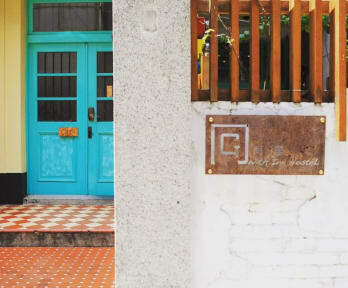 With Inn is a tastefully-decorated hostel in Kaohsiung. Stayed here for 3 days. The breakfast area was beautiful; check-in was a breeze; and the staff was kind- I believe this is a family-run hostel. I also loved the rooftop and the inside hangout area. There’s not much social events going on here (maybe low season) but it would still be helpful if there are events that travelers can partake in. The men’s shower was a bit odd- on the terrace outside but it’s private and clean. Central location. The hostel has its own history so it is a bit old but it is nice and clean. The location is also good and the staff was very friendly. A very aesthetically pleasing hostel in a great location. There’s not much of a hang out space downstairs, but there is a balcony at the top. Rooms are really nice but not much floor space, and everything was very clean.